This final section engages with one of the most fundamental aspects of critical media literacy – audience participation. In addition to unpacking ways in which audiences increasingly participate in the production and dissemination of media content, as well as their continued role in interpretation and reinterpretation, the discussion and exercises here address diversity and empowerment of audiences and perspectives. In asking questions about the role of audience in interpreting media messages the section focuses on topics of diversity (gender, race, ethnicity, sexuality, ability). At the end, following a word association game, examples of online platforms for citizen activism, a critical reading exercise, you will learn how to produce an article outline on your own. Media rely on particular understandings held by their audiences in shaping and narrating news, for example, places and events they refer to, people they talk about, etc. For example, when media reports on a religious holiday they assume shared meanings attached to the festivities (baklava for Bayram, a tree for Christmas). An important issue however pertains to the voices and experiences that might be left out. There is a noticeable tendency for media to assume who holds the authority to speak on behalf a larger group. For example, you may have noticed that when reporting on a waste or water problem in a village in Kosovo almost exclusively media speak to older men in the village. On the other hand, increased interaction and participation of audiences has had immense effect in shaping and altering media reporting and narration. Audiences do not just passively accept what is provided to them. Although audiences always could remake the meaning of news and events, in today’s media landscape there is increased opportunity to shape the reporting itself. For example, www.kallxo.com is a national platform where citizens can report on issues relevant to them, ranging from corruption to illegal dumping. These kinds of platforms investigate stories while relying on citizens’ reports on offences and transgressions committed by institutions and citizens. As such they also are a means of empowerment for citizens. Examples such as this point to what is considered the democratizing potential of digital media. On the other hand, in digital and especially social media we can end up consuming news and participating through platforms that reinforce our existing opinions. This way, audiences (the public) become split and polarized without communicating and exchanging perspectives. This exercise is meant to help us understand how meaning is created/coded and how it is decoded and/or changed. It points to ways in which through language and communication we come to hold shared and preconceived categories and meanings. You are asked to think of yourselves as one audience sharing some of the same understandings and meanings, but also to consider what it might mean when we leave out certain categories and meanings. You can turn this exercise into a game. You will need at least three people to play the game. Begin by splitting into three groups. Provide each group/person the word list below. In total there are 42 words. Each group/person has to create three categories using 12 words for each category (do not repeat the words). You may wish to write each word down on a separate piece of paper, or sticky note, and then move them around to create your categories. 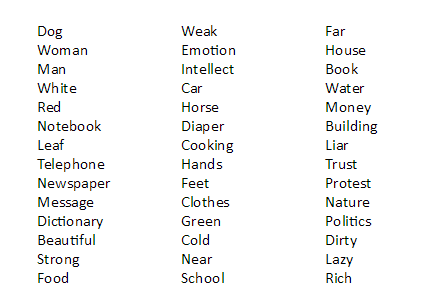 Name each category and then lost the words you have chosen. Once you have named and created your categories, with the words you have chosen, take turns sharing your choices with the other groups. Explain why you choose the particular words and why you think they fit together. Discuss what might be the reasons you have created these categories - what experiences, definitions, values, meanings, people, affected your choices. Also, discuss if (how and why) by putting certain words together in one category we might be leaving others. Do you think that leaving certain words out (by defining categories in one particular way) we also exclude certain audiences? Once you have done this, remain in the same groups and now come up with an additional category (one new category for each group/person) by using only six words (any words) from the list. Use words you do not automatically think go together. As before take turns explaining your choices. As part of the discussion ask each other what the categories you created say about you as an audience? Do they reveal shared understandings of one age group, of ethnicity, of gender, etc.? Do they confirm and/or challenge particular meanings and categories? Which ones? Why? The categorization and mapping exercise was an opportunity for you to identify the conceptual maps you hold and perhaps take for granted. Just like the image exercise in Module 3. Just to review and reiterate some of the ideas we have engaged so far. Conceptual maps are made of shared assumptions, cultural values and norms. Certain categories make sense to us because we share the meaning underlying them. Think of the categories you put together in the previous exercise and the discussion you had. The categories you put together are in a way part of your conceptual maps. However, as we have seen so far, belonging in particular categories is not fixed, nor are the categories themselves. For example, historically men have been identified with work outside the home, and women with home making and childcare. This photo, taken from an article featured in The Economist, “Who’s Your Daddy,” refers to a trend, in the US, for more men to become stay at home dads. Here the magazine is reporting on an emerging social reality in the US. At the same time, by showing these images and writing about the topic the story contributes to discussions about new trends in parenthood and meaning of manhood. The example shows changing associations with parenthood. 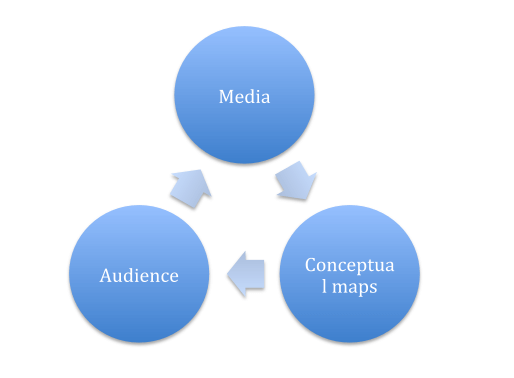 Media also draws similar connections, that is, media rely on our shared and assumed conceptual maps in order to convey a message. In addition, media in powerful ways shapes our conceptual maps. By making only particular kinds of connections (categories, meanings) media, and we as audiences, reinforce particular meanings. Below is a link to an article that parodies the many travelogue pieces that have been written by foreign visitors and journalists in Kosovo. As Hana Marku’s piece shows, much of this writing relies on stereotypes, generalizations, and little contextualization. The meanings attributed to Kosovo, in the articles Marku parodies, continue to reference conflict and war, inter-ethnic tensions, a working class guide, generalizations about peoples’ beliefs and cultural values, and an emphasis on rural-urban differences. The photographs, also, almost always contain one picture of a cultural heritage site, one picture of a local culinary specialty, and one of a group of people. Quite often these kinds of articles provide superficial accounts of a much more complex social reality. However, as the example from The Economist shows, media can make new kinds of connections and affect our norms and values, thus being a powerful force in social change. The article shows how larger changes (mainly economic) make a previously rare practice (men being primary care givers) possible, and how these larger changes interact with social norms. Media can also be used to promote certain issue, raise awareness and empower citizens. 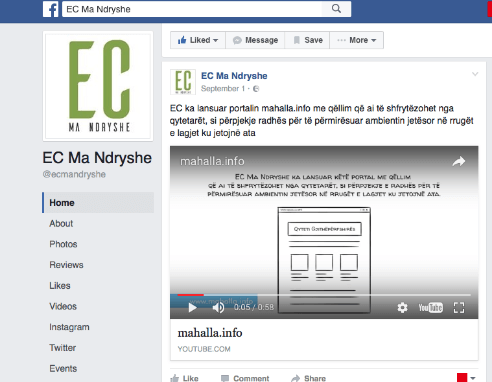 The following video is an example of a Prizren (Kosovo) based NGO, Ec Ma Ndryshe, providing an online platform (mahalla.info) for citizens to improve the living environment in their neighborhoods. This is an example of how social media are used to engage the audience. 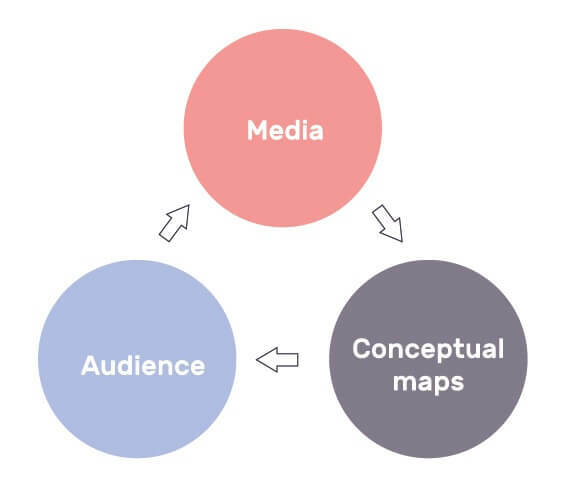 Think of audience, conceptual maps, and media as part of a process that is not linear, rather as a process where one shapes the other. You can conduct this exercise alone or in groups. If you will work in groups split into three groups. Each group will read the same article but answers the different questions below. Once you have read the article discuss amongst yourselves and answers the following questions. Write down your answers. Once you are down take turns sharing your answers and discuss amongst yourselves. What assumptions about the audience are made in the article? What “shared meanings” does it rely on? Do you think the article can change what people think about the issue? Do you think that people from different age groups, genders, social settings (city, village, employed, unemployed, educated, uneducated, etc.) have different positions on the issue? What are those positions? How have you discussed the issue with your friends? How have you discussed the issue with your parents? What changes in gender roles have you noticed in your family, your community, and in the wider social setting? Once you have finished the exercise you can refer to the following for additional discussion. Shared meanings are shared within particular groups and can differ within one society. These differences are reflected through gender, class and ethnic relations. 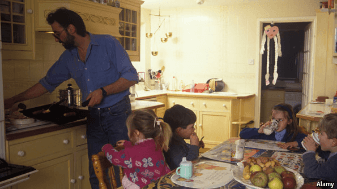 The “Whose Your Daddy” article depicts a white professional middle class family. The trend the article speaks about depicts changing gender roles, which are not to be found equally throughout American society. For example, single income families, working class families, families in traditional settings, and groups marginalized based on race and ethnicity, are not included in the article. Similarly, the article Promoting Positive Fatherhood in Kosovo, speaks of professional men in an urban Kosovar setting, and two income families. The examples used in the module do not necessarily refer to mainstream conceptions of inclusion and diversity. Instead of identifying a marginalized group, and adding it in, the examples aims to identify the norm and through that norm discuss issues of inclusion, exclusion, and diversity. So, instead of addressing parenthood through the traditional ‘woman as caregiver and professional’ debate, the examples show that the debate is much more complex. Having conducted the word link exercise, and read the discussion in the previous section, in this section you will do a critical reading of an online article. The exercise is similar to the one you conducted at the beginning of this curriculum but now you have more critical reading and discussion tools that you can use. For this final section you are expected to be able to draw on lessons from this module – audience participation and shared meaning - but also make connections to ideas, discussions, knowledge, from the previous three modules (critical thinking, diversity of media and sources, reading/interpreting images).  For this you are asked to produce an outline for a story on an issue important to you. You can work alone or in a group. What is an outline: An outline is a formal system used to develop a framework for thinking about what should be the organization and eventual contents of your paper. An outline helps you predict the overall structure and flow of a paper. The following questions will help you identify the topic and make a plan for writing the outline. What is an issue important to you? Who would be your audience? Who would you interview? Why? What sources would you use? Why? How would you make sure that different voices and perspectives are heard? What images would you use? Why? What media format would best fit with your story? Why? What kind of audience do you have in mind when writing the story? How would you like them to participate? You can refer to the following wiki in order to get more information and additional instruction. Decide on your main goal: persuasion, information or reflection. If you are writing a persuasive, analytic paper, write a thesis statement.